Christ's School has a very active and passionate music department. 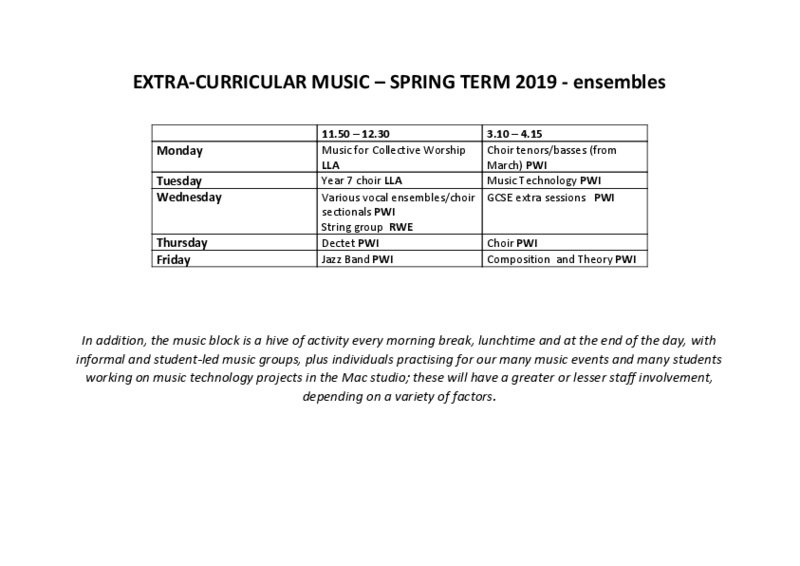 The Music Team offer a number of extra curricular clubs, bands and lessons. Details of these can be found below.